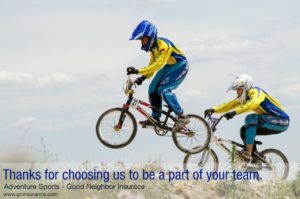 Good Neighbor Insurance provides group medical insurance for their associates. We at GNI are primarily focused in providing international medical and travel insurance to those visiting and residing outside of the U.S. We also have provided, since GNI has opened up for business in 1997, Arizona medical insurance to those residing in Maricopa County. Due to the new Affordable Care Act (ACA), employers are now held to more rules and regulations from the Federal Government. Thus, each associate must be informed of group health care options, if provided, as well as other ACA laws such as the public (public means government run but all still private medical insurance) marketplace. All have to be shared since each associate has different income and family situations. The key for every employer is to inform the client at the start of the hiring process. Below is a simple and yet complete letter to place in the new associate’s hiring packet. Keep in mind this is all for health insurance. This is not related to other benefits an employer may have such at PTO, 401 pension plans, and vision care. values our employees, and because we care about you and your health, we are excited to offer you health care coverage for the first time through [insert carrier name]. We also want to ensure that your health care coverage is affordable, so we will contribute [insert amount or percentage] toward your monthly premium, resulting in lower monthly costs for you. If you are currently eligible for a subsidy or cost reduction through the Health Insurance Marketplace, you will no longer be eligible because we are now providing a qualified health plan option. However, you may still enroll through a Marketplace plan at healthcare.gov without a subsidy, if you wish. If you have any questions, please contact [insert name] at [insert phone] or [insert email].